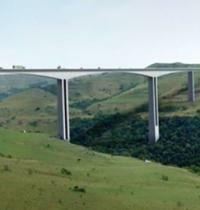 The contracting joint venture building the 1.1km-long Mtentu Bridge in South Africa has terminated the contract, citing threats of violence as the reason behind its decision. The contractor for Toowoomba Second Range Crossing in Queensland, Australia, has been instructed to stop work on a section of viaduct because of safety issues. Shortcomings in preparatory work meant that collapse was inevitable when two barge-mounted cranes attempted to lift a large section of a bridge in the Netherlands last year, an investigation has found.